Maximum flexibility, available in two types: Integral Header (IHR) (9, 12, and 15 inches wide) and Welded Header (12 and 15 inches and 520mm wide). The 520mm provides a DIN Standard radiator configured to meet North American requirements. Standard center line mounting lengths range from 21 to 180 inches. 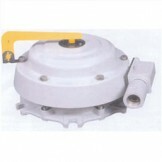 Used for safety and protection of power transformers with expansion tank. The Buchholz relay purpose is to continoulsy monitor the transformer oil. Detecting for the formation of non-dissolved gases in the oil. The VariSTAR AZE Surge Arrester offers the latest in metal oxide varistor (MOV) technology for the economical protection of power and substation equipment. 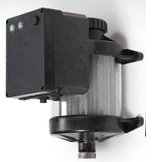 This arrester is gapless and constructed of a single series column of MOV disks. 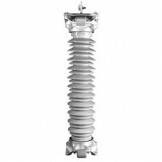 This arrester has also met or exceeded all requirements for Intermediate Class arresters as defined by IEEE Standard C62.11. 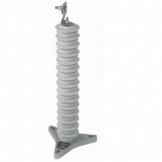 This arresters have passed all IEEE Std C62.11 standard test requirements for station class arresters. 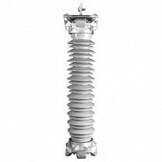 Cooper Power Systems has set a new standard of excellence for polymer housed station class surge arresters. Enhancements in arrester design allow to offer increased cantilever strength and improved energy handling capability. VariSTAR AZG Surge Arresters offer the latest in metal oxide varistor (MOV) technology for the economical protection of medium-voltage class power and substation equipment. This arresters offer the latest in metal oxide varistor (MOV) technology for the protection of medium-voltage class power and substation equipment. Heartland offers a full array of Pressure Relief Devices which vent excess pressure in transformer and other electrical equipment. 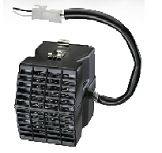 Various ANSI and IEEE C57 series standards specify Pressure Relief Devices for oil filled transformers. These Pressure Relief Devices meet or exceed these standards. Keeping the silica gel dry eliminates the need for periodic replacement of the desiccant. The second generation ARDB uses breather intelligence technology and a bypass valve to automatically schedule regeneration and isolate the transformer from the silica gel. 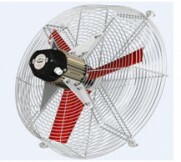 Modular design and high temperature,UV resistan, anti-corrosive plastic housing allow for used in confined areas. Positive pressure inert air systems are designed to protect transformer oil in the main tank from oxidation and moisture absorption by keeping pressure in the tank at proper preset levels. 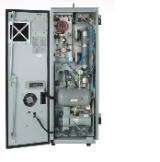 Nitrogen generator was designed for use on transformer main tanks, tap changers, breakers and any other electrical device requiring a nitrogen gas-blanketed enclosure. The PTC2 can improve the reliability, efficiency and operational life of electrical equipment by automatically maintaining an enclosure temperature only slightly higher than the outside ambient temperature without using a thermostat or controls. 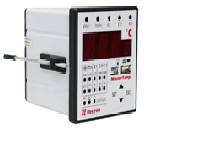 MASTERTEMP™ was developed to monitor the oil temperature and the winding in transformers and reactors immersed in oil, activation the fans and protect the power and distribution transformer. Trantech Stainless Steel Valves are manufactured and assembled to meet the most demanding conditions. The CF8 / 304 Stainless Steel Valve is made to meet the most demanding conditions while remaining a cost effective approach to corrosion prevention. 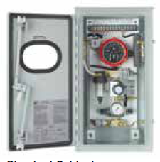 The Model 1250-LTC provides business critical LTC Maintenance Data to assist in making informed decisions, while continuing to provide highly accurate local and remote indication of load tap changer position.